Ep. 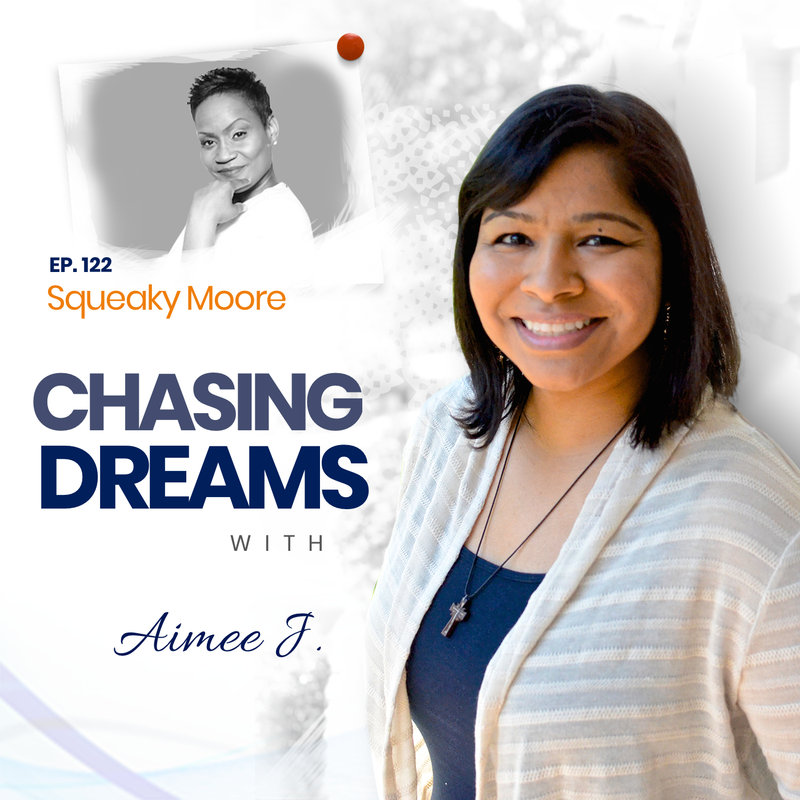 122: Squeaky Moore – Mistakes I’ve Made So You Don’t Have To | Aimee J.
Squeaky Moore is regarded as the “pitch guru” for content creators and she freelances as a development consultant and pitching coach. Moore recently directed and produced “64,” a project on father-absent homes. “Father’s Day?” was also produced by Squeaky, and addresses the effects of absentee fathers. It recently debuted on the launch of Magic Johnson’s Aspire TV Network. “The Positive Controversy” is a show she developed, and “Face of Darkness-Journey to Healing” is documentary film that explores depression and suicide in African-American communities. She authored the book, #100 Pitches: Mistakes I’ve Made So You Don’t Have To, which is a film and TV-pitching guide for independent content creators about the do’s, don’t’s, and strategy of pitching film and TV projects. Have your dreams changed over the years or remained the same? Squeaky says that her dreams have remained for her, from the early age of 11, when she knew she wanted to act. The only difference for her is that she’s given it a shot in front of and behind the Squeaky, is to remain open-minded and optimistic! What exactly constitutes failure? Squeaky says that it isn’t really what most people think it is! Often, we perceive our efforts as failure, simply because the outcome wasn’t what we wanted or expected. Dealing with disappointment and fear is part of life, and it doesn’t equal failure. Mistakes are just the steps we must take on our way to the success we will become! How do you usually face fear? Squeaky says that she learned to face her fear head-on, and “put it out there so I can’t chicken out.” Becoming a master at not letting NO affect her has changed her perspective and her mindset. Her desire is to help others by letting them know what she has learned through the process of facing fear. Healing comes when you deal with the fear!